Joining the John Amico School of and Hair Design and Cosmetology will meet your expectation above all feeling comfortable and enjoying the culture which allows you to be totally focused on the learning process and being yourself. The School Owners are a family which happens to be the oldest family owned Professional Hair Care Products Company in the US. The John Amico school owners are on site, who are well-known industry icons. Salon readiness is the goal of the John Amico School. When you first join, you will immediately start with hair and beauty care training in a workshop environment. The workshops gives you a jump-start to learn fashion and gain dexterity. Remember, education is repetition. The faster you are doing services on mannequins, models and clients, the sooner you become competent and confident. Theory and bookwork is necessary and the John Amico School will provide that coursework later at the appropriate time. But in the real salon world it is all about how well you satisfy a client. Books can’t do that for you. it must be in your hands, heart and head. Job placement after cosmetology school is part of the John Amico School focus. Fashion readiness and being on the cutting edge of beauty care. Yes, you need to learn the basics however, at John Amico School we are trendy and fashionable. Clients come for image making statements more than affordable prices. Exposure to Great Stylists and Salon Owners. Versatile, well-networked graduates. 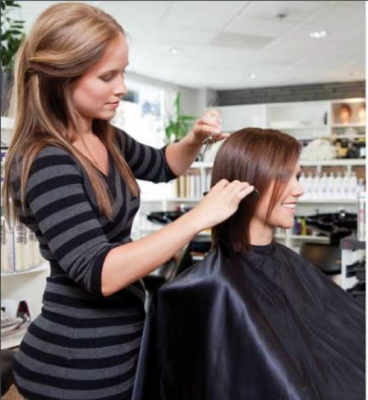 The Best Salons want the best graduating students who can do haircutting, highlighting, hair coloring, keratin treatments, hairstyling and chemical texturizing. Like other industries, they want students who are comfortable, social, networked, and highly-skilled. Being associated as an alumni or current graduate affords you a network of thousands of salons that rely on the John Amico School for it’s graduates and the John Amico Products. However you need to prepare to get that dream job. It’s up to you. Go on a tour, check out our fees and interview our current students, graduates and staff as part of your selection process. Just because we offer one of the lowest tuitions doesn’t necessarily mean we skip on anything. Our products company helps cover the cost of some of the students education. Judge John Amico school by the quality not the price. The affordable tuition does not require government students loans. The high quality education can be obtained for an affordable tuition fee if you adhere to our above recommendations.